The 141st birth anniversary of poet of the East and philosopher Hakeemul Ummat Dr Allama Muhammad Iqbal is being celebrated on Friday (Nov 9) with national zeal and fervor across the country. 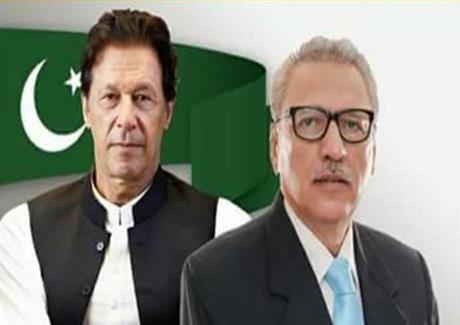 In their separate messages on the occasion, President Dr. Arif Alvi and Prime Minister Imran Khan have called for understanding and acting upon the message of Allama Muhammad Iqbal to achieve high distinction in the comity of nations. In his message, the President stressed the need to revert to the teachings and philosophy of the great philosopher and poet of the East to tackle the multifaceted challenges faced by the country. Prime Minister Imran Khan in his message said Pakistanis could achieve high distinction in comity of the nations by understanding the concept of ‘Shaheen’ and philosophy of ‘Khudi’ of Dr Allama Muhammad Iqbal and adopting it in practical life.